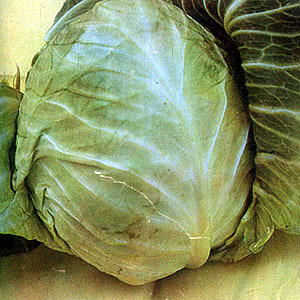 Repolyo (Cabbage) – Scientific name: Brassica oleracea Linn. A biennial herb. The main axis, short and thick. Leaves are densely packed, and as it grows, close and develop into a gigantic bud of head. Leaves vary in color, from the common light yellowish green to dark green and dark red. Contains a considerable amount of sulfur. Seeds are diuretic, laxative, stomachic and antihelminthic. Red cabbage is emollinet and pectoral. Juice of red cabbage used for chronic coughs, bronchitis, asthma. Juice of white cabbage used to treat warts. Bruised leaves of the common white cabbage used for blisters. Excellent source of vitamin C; good source of vitamin B; fair source of vitamin A. This entry was posted in List of Medicinal Plants in the Philippines and tagged cabbage, repolyo on March 25, 2009 by Pinoy Herbs.